The Striking Design Of This Rug Creates A Dramatic Focal Point In Any Home Or Office Setting. Densitech Construction Offers A High Fiber Density To Maintain An Excellent Level Of Strength Through Daily Use. Antimicrobial Treatment Helps You Maintain A Germ-Free Environment By Guarding Against Odor, Mildew And Mold. Nylon Material Is Infused With Nexatron Dye To Ensure Bright, Lasting Colors. Scotchgard Protector Resists Heavy Soils To Quickly Clean The Rug In The Event Of An Accident. Highly Durable Design Is Bound And Double-Stitched With Nylon Edge Yarn For Reliable Strength And Sturdiness.. 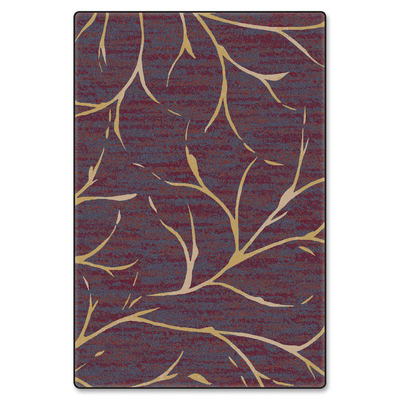 The Striking Design Of This Rug Creates A Dramatic Focal Point In Any Home Or Office Setting. Densitech Construction Offers A High Fiber Density To Maintain An Excellent Level Of Strength Through Daily Use. Antimicrobial Treatment Helps You Maintain A Germ-Free Environment By Guarding Against Odor, Mildew And Mold. Nylon Material Is Infused With Nexatron Dye To Ensure Bright, Lasting Colors. Scotchgard Protector Resists Heavy Soils To Quickly Clean The Rug In The Event Of An Accident. Highly Durable Design Is Bound And Double-Stitched With Nylon Edge Yarn For Reliable Strength And Sturdiness.